Fix Route 28 & Innovate! Let's make Virginia the most welcoming state in the Mid-Atlantic. Hello and thank you for visiting my page! 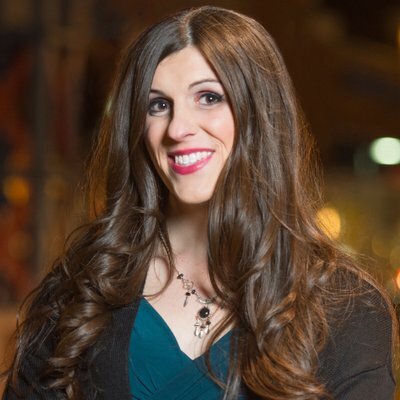 My name is Danica Roem and I'm running for the 13th District of the Virginia House of Delegates. I'm a lifelong Manassas resident, a career journalist who covered the news for the Gainesville Times in Prince William County for more than nine years, a step-mom and proud Democratic Nominee for the Virginia House of Delegates. By focusing on these core quality-of-life issues, I'll work to make Virginia a more inclusive commonwealth for all, no matter where you come from, what you look like, how you worship or who you love. My proposal calls for the NVTA reallocating the $300 million it's set for improving the Interstate 66/Route 28 intersection so the money moves further south for other improvements-- like widening 28 to six lanes just south of U.S. 29, removing stop lights where appropriate (and the residents find useful) and coming up with multi-modal transportation options so people aren't stuck having to only choose vehicles -- if the private conglomerate likely to install tolls on I-66 follows through on its pledge to put $300 million into the I-66/28 intersection. Let me be clear: I oppose all tolling of roads in Northern Virginia as it is a form of double taxation when we have to give up general access lanes in order for private companies to profit from toll revenue. Yet I'm also pragmatic. The time to defeat toll road proposals is the conception stage. So rather than relitigate with the state, my position is we take the next-best option and use the $300 million the private conglomerate is pledging for the Route 28/I-66 intersection as a means to reallocate the NVTA's $300 million for further road improvements south. That means we can fix the roadway without raising taxes; it just takes political leadership to accomplish it. I've also called for extending Godwin Drive to Centreville through public right-of-way easements as long as it is constructed in an environmentally sensitive way near Bull Run and does more good than harm for the residents who live near there by restricting cut-through traffic in Yorkshire and Manassas without lowering property values. While I support extending Godwin Drive if the environmental and land-use issues are mitigated, I fervently oppose the Bi-County Parkway, which would run north from Interstate 66 along Pageland Lane all the way to Loudoun County. There are so many reasons to oppose this idea but they all come down to one idea: keep the Rural Crescent rural. Leave it alone. I also oppose Dominion Virginia Power's proposed above-ground power towers from Gainesville to Haymarket in order to power up Amazon's data center. Like the Bi-County Parkway, the project was conceived without first asking residents what would be acceptable and unacceptable before developing a policy proposal. Before developing roadways and large utility structures, residential input needs to be gathered first through door-to-door knocking, not sending out flyers or phone calls. The residents should be told what the issue is and be asked what are acceptable and unacceptable ways to achieve the desired result. Then, incorporate what they tell you into your policy position. That's the only way to develop a consensus. While we can make a ton of improvements to Route 28, the road will remain clogged every work day morning if we don't bring high-paying jobs to Prince William County,specifically in the Innovation Technology Park area of Manassas. This area of the county is so vital to our future commercial tax base that the county's Economic Development department focuses almost entirely on developing it. To make Innovation successful,we need to find a cost-effective way of extending the Virginia Railway Express (VRE) westward from Broad Run (near Manassas Airport) to Innovation, which will allow the county's Economic Development department officials to better market Innovation and will give commuters an alternative to driving to the area. With mass transit running to Innovation, we'll have the ability to be more competitive in the recruiting process for defense and tech jobs that we're losing to Tysons Corner, the Research Triangle in North Carolina and so many other places. While we work hard to bring in high-paying jobs to Innovation, we also need to take care of all our workers in Virginia. That's why I support increasing Virginia's minimum wage, which is at the federal minimum level of $7.25 for non-tipped employees. While we may not be able to make it to $15 an hour any time soon in the General Assembly, surely we can make the case for at the very least matching West Virginia's $8.75 an hour. When our cost of living in Northern Virginia is exponentially higher than anywhere in West Virginia, there is no case to be made for why our workers should be paid less, period. When I first covered then-Lt. Gov. Tim Kaine on the campaign trail in 2005, I heard him advocate for universal access to public pre-kindergarten education. Twelve years later, we're making great strides toward that access but we're not there yet. Not only should we continue to increase access to pre-K because it's the right thing to do so every child has a fair chance to succeed but also because it's good for the economy, with as much as a $7-to-$1 rate of return, if not more. West Virginia offers more pre-K access and spends $25 million more than Virginia despite a much smaller population. Meanwhile, we also trail nearly all of our neighbors -- Maryland,Kentucky, North Carolina and Washington, D.C. -- in total funding for pre-K.Those states can afford pre-K because they've prioritized it. It's time for Virginia to catch up to its neighbors and invest in all of our children by prioritizing all-access for pre-K. When we already have overcrowded schools, then why are our local governing bodies approving hundreds of new housing developments before we've built more schools, improved our existing schools and developed more infrastructure to support those students and their families? Simply put, you have to have existing infrastructure in place in order to make informed development decisions. Why? Sometimes, local governing bodies have to cut their budgets and push back capital improvement projects, like bringing on new schools, roads,fire and police stations, etc. Yet what we see happen so often is our local governing bodies make decisions based on what they expect to be there in the future instead of what is already on the ground. Let's build our infrastructure first, then consider development in a way that diversifies our residential and commercial portfolio. We can't just grow our population and insist development proffers and real estate taxes will make up for the stress a rapidly growing population puts on our existing infrastructure. We have to be smarter with how we manage growth and focus on growing our commercial tax base. In western Prince William County, we have to focus heavily on bringing more major employers into Innovation Technology Park so we don't have to rely so much on residential growth to fund our local budget. By building up our commercial tax base, we can shorten commutes and put more of our tax money toward education infrastructure projects, like alleviating overcrowding. Legislators in Richmond have little power to stem overcrowding in schools without trampling on the rights of localities to make their own land use decisions. But what legislators can do is secure state funding for capital improvement projects so we can build up our infrastructure, including more schools and advocate for smarter development policies with our local governing bodies. As your delegate, I'll do what I can to build on Sen. Chuck Colgan's (D-29) legacy of investing in education by securing more money for infrastructure that supports our local roadways and schools. We're behind the City of Manassas - our immediate neighbor - by a lot. This is not a new problem and every teacher in Prince William and Manassas Park knows it. When we underpay our teachers, we don't just make it harder to recruit the best and brightest to teach here but we make it more difficult for those who do teach here to afford to buy a house here. This isn't just about recruiting the best and brightest teachers, it's about retaining teachers too. So let's get serious and boost our education funding by diversifying our tax base at the local level and work together at the state level to find a way to offer raises instead of bonuses for our teachers. Reasonable people can disagree about what to do about school safety. For example, police chiefs told me adding School Resource Officers makes community policing easier because the officers and students know each other, so they can develop trust in each other.Privacy experts told me SROs should only be tasked with enforcing the law, not carrying out school discipline. They also told me students who don't know any better sometimes say stuff to a SRO that they shouldn't be saying without a lawyer present, especially if an SRO is wearing a body camera. Both sides bring something positive to the conversation: Community policing is a proven way to cut crime but students shouldn't have to be afraid of unintentionally saying the wrong thing in front of police either. My mission is to bring advocates and stakeholders from all sides together to find common ground, one where our local police can use the best community policing techniques to cut crime and build trust in their communities while respecting students' rights to privacy. Every child should feel safe and be safe in school, without exception. Every child deserves to have their privacy protected so we can fulfill our commitment to providing a free, public,world-class education for everyone. In 2016, I advocated for making our schools safer four times in front of the Prince William School Board by making the case for adding sexual orientation and gender identity to the school system's nondiscrimination policy. When we protect our most vulnerable students, we protect all of our students (and our teachers too). As a mom, I want to do everything I can to protect children from harm. As transgender woman, I know the threats our students face in school and I know how terrifying it can be to just be perceived as LGBTQ, let alone summon the courage to live openly,honestly and authentically. Let's find a common ground way to respect each other's privacy, respect each other's religious views and respect each other's humanity without putting anyone at risk. We can do that through updating the nondiscrimination policy. In Virginia, a school system can suspend a student for 364 days without educating that child. When we discipline students, we have to remember the "student" part: they still need to learn and they can't afford to fall behind. Likewise, I support the recommendations made by the Legal Aid Justice Center in the May 2016 "Suspended Progress" report, including reducing long-term suspensions to 90 days while providing alternative education for out-of-school students. To do that,we need to be a more welcoming commonwealth, one where our residents are valued for who they are, not singled out because of their religion, race, gender,sexual orientation, disability or any other inherent identifier. I'm campaigning as a practical consensus-builder whose legislative role models growing up were Sen. Colgan (D) and the late Del. Harry Parrish (R-50). You didn't have to agree with them on every issue to respect them and acknowledge the results they delivered for their communities.